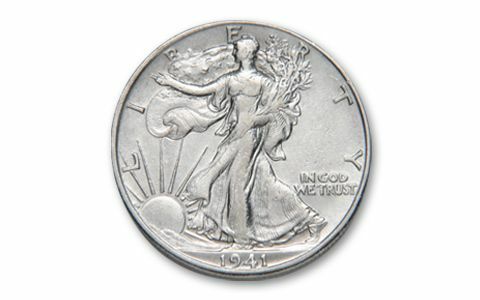 Don't Miss Your Chance to Acquire America's Most Beautiful Silver Coin! 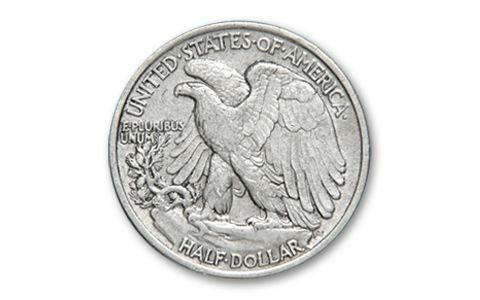 Considered by experts as the most beautiful silver coin in U.S. history, the Walking Liberty Silver Half Dollar is one of the most popular collector coins of all time. Last struck in 1947, these valuable coins are seldom seen today. But now, while supplies last, you have the opportunity to obtain one of these historic silver treasures! This classic coin harkens back to the "good old days" days, when a silver half dollar was a substantial amount of money. "Walkers" were first minted in 1916 and were struck by the U.S. Mint through the Roaring Twenties (how much "bathtub gin" could one buy?). Most were worn down in circulation, or melted in the mad rush to obtain silver several times during the period from 1964 to today. 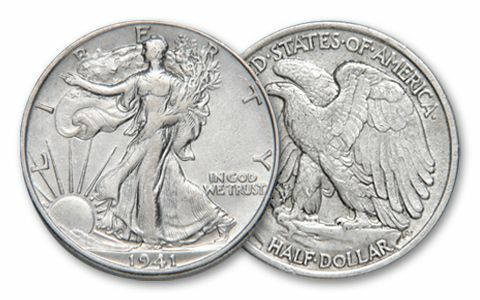 Your Walking Liberty is in Extremely Fine to Almost Uncirculated condition-a great collector grade with nearly all the detail present, along with some of the original mint luster. Own your classic "Walker" today!